Aargh! We feel a right pair of t***…. Yesterday evening, just as we were settling down in front of the fire - voomph! - the house went dark: a power cut. Candles were lit and the next course of action considered. We went upstairs to see if the neighbours’ lights were on, and they seemed to be. 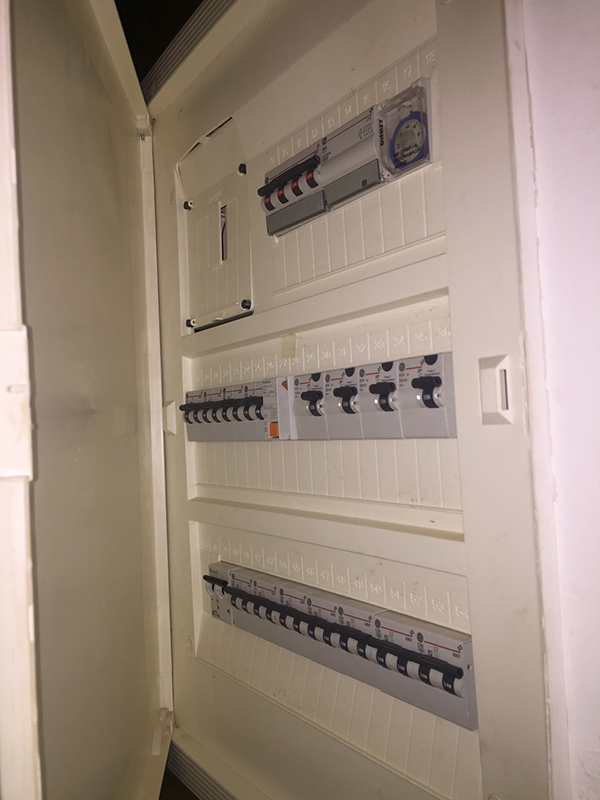 We checked the fuse box and all the switches appeared to be in the right position. We bumped into our immediate neighbours who explained that their TV was still working, so all was well, and they then went out of their way to check our meter cupboard and fuse switches without a solution. Over the past week, we have received two little dockets in our letter box, asking us to call a number, but there was not really any indication as to why we needed to call said number, but there certainly was no indication that we were due to be cut off! I asked the neighbour if she knew what these dockets were and she told me to call the number and tell them that we had no lights. OK, off I trotted to call this “number” but God knows who I was calling; they certainly were not the electricity company. In fact, on closer inspection, we think they are a courier company who now must think we are mad, calling up and saying “we have no electricity”. They probably sat there thinking, “yeah, whatevs” in Spanish. It's the strange orange one in the middle of course!! We texted our English friends in the neighbouring villages in the hope that they could shed light on the sorry affair, and in the meantime, I thought I would try the Endesa customer service number. Endesa are the distributors of our electricity supply, and the service representatives were all hugely helpful. That said, I could understand very little of what was said, much to my continued shame. We were without electricity for around an hour, and in that time, I was given 5 different telephone numbers to try without much success, but lots of helpful chat. I began to gather that, as the neighbours had electricity and we seemed to be the only ones without, then it was likely to be a problem with the meter. I thought I’d take another look at the fuse cupboard and Andrew and I duly trotted off, torch in hand. In a moment, we reset the master button and tripped the switch and behold! Light. How to feel chagrined in 5 easy steps. As I said, the staff at Endesa could not have been more helpful or understanding, but my woeful lack of confidence and understanding of Spanish let me down again. Mind you, in the space of those umpteen telephone conversations, I began to learn a huge amount, and by the end I understood most of what was being said, even if it was utility jargon! I am not sure, however, that the role of the service staff at Endesa is to provide intercambio sessions for a dim Englishman. Immediate problem solved, I drove to the neighbouring village to buy some meat for dinner. The little store was empty apart from the owner. I asked for two chicken breasts, whereupon he disappeared into a store room, emerged brandishing a whole chicken which he quickly and expertly quartered and then carved off two lovely plump breast fillets, and proceeded to skin them. All done in a moment; I was impressed, and managed to string together a few words to inform the expert. So, a slightly trying evening, but it has to be said that the Spanish people are a delight! So was the chicken, by the way. Nov 23 Don't rely on sat nav! !